Katharina Schütz Zell (1497/8 - September 5, 1562) was a Protestant reformer and writer during the Protestant Reformation. She was one of the first Protestant women to marry a clergyman. Katharina lived all of her life in Strasbourg. Strasbourg was incorporated within the Holy Roman Empire during this time period, but today is located in France close to the border of Germany. Katharina Schütz Zell was most likely born in early 1498 to Elisabeth Gerster and Jacob Schütz in Strasbourg. She had two older brothers, Jacob and Lux, and two older sisters, Elisabeth and Barbara. After she was born her parents had five more children, Margaret, Magdalene, Ursula, Andrea, and Jacob. The Schütz’s were most likely one of Strasbourg’s established families, though not of higher ranks. The family was not overly wealthy, but most-likely lived comfortably. Katharina’s family devoted a large portion of their personal finances to the education of their numerous children. Katharina herself received an excellent vernacular education. The exact form of schooling Katharina received is not clear, but it is clear that she learned to read and write German fluently, and eventually developed some basic knowledge of Latin. Katharina’s interests in learning were mainly religious, as well as professional training, particularly preparation for an independent profession. This was also not the end of her education. She took it upon herself to continue independent learning throughout the rest of her life. When Katharina was still fairly young, the Protestant Reformation was just coming about. Around this time, the teachings and writings of Martin Luther gained fame and began to spread. Katharina was introduced to much of these new teachings and views of religion by Matthew Zell, the pastor who took charge of the St. Lawrence Cathedral in Strasbourg in 1518. Katharina eventually started to take these beliefs as her own through Zell’s sermons and Luther’s teachings. A few years after Matthew came to Strasbourg, he and Katharine got married. They were married by Martin Bucer at 6:00am on December 3, 1523. The reason behind her marriage was mainly vocational, “Katharina Schütz was convinced that she was called to marry Matthew Zell as an expression of her faith in God and her love for others.” Katharina’s marriage is also interesting because she was one of the first people to get married to a pastor, even before the marriage of Martin Luther, something that was not necessarily thought too highly of at the time. Her marriage was what would be seen as a true equal partnership in a society that required that the good wife be silent and obedient, and in which women usually only achieved independence as widows. Katharina had two children with Matthew, although they both died at very young ages. Mathew died on January 9, 1548. Though Katharina mourned and grieved his death, this did not stop her work. She dealt with her grief by intensifying her Bible study. Katharina herself became ill in 1561 and died on September 5, 1562. One of Katharina’s titles and occupations was that of a pamphleteer. Pamphlets were essential for Protestantism during the Reformation. Zitzlsperger writes “Without pamphlets the Reformation would arguably not have had the same outcome. The pamphlets served to inform a wide audience quickly and with dogmatic effectiveness on current affairs. Noblewomen of the time would have been most likely in the public eye with their pamphlets much more than Katharina who, as a middle-class woman, tended to be less exposed since she was writing more for her local community. Katharina’s voice was not just heard in Strasbourg. Martin Luther was personally familiar with her writing, and received a personal copy of Katharina’s first public text, Letter to the suffering women of the community of Kentzingen, who believe in Christ, sisters with me in Jesus Christ. Katharina also met Martin Luther at some point in her lifetime. One of Katharina’s works was a set of books (in four volumes) containing the hymns of the Bohemian Brethren. In contrast to much of the other work that is known of Katharina, she took almost no part in the writing of the hymns in the book. The book had originally been produced in 1531 by Michael Weisse who gave strict instructions for the actual text of the book to not be altered, though she did add two other hymns. What Katharina did have some control over was the actual music behind the hymns, which went through some major changes by her. It is possible that Katharina had an assistant she relied on for the musical adaptation, though no such assistant is mentioned by her. Katharina's preface to the song book reveals her concern for the spiritual well-being of the laity, especially women. She considered these Bohemian songs more suitable in subject matter than any liturgical German hymns which had theretofore been published in Strasbourg. However, her editions of these books were never reprinted. Letter to the suffering women of the Community of Kentzingen, who believe in Christ, sisters with me in Jesus Christ. ([Augsburg]: [Philip Ulhart], 1524). ^ Trocmé-Latter, Daniel (2015). The Singing of the Strasbourg Protestants, 1523-1541. Farnham: Ashgate. pp. 124–131. McKee, Elsie Anne. 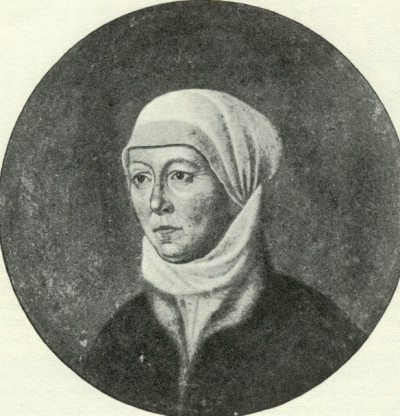 Katharina Schütz Zell the Life and Thought of a Sixteenth-century Reformer. Vol. 1. Leiden: Brill, 1999. McKee, Elsie Anne. Reforming Popular Piety in Sixteenth-century Strasbourg: Katharina Schütz Zell and Her Hymnbook. Princeton, N.J.: Princeton Theological Seminary, 1994. Stjerna, Kirsi. Women and the Reformation. Malden, Mass. : Blackwell Pub., 2009. Trocmé-Latter, Daniel. The Singing of the Strasbourg Protestants, 1523-1541. Farnham: Ashgate, 2015; reprinted Routledge, 2016. Zell, Katharina, and Elsie Anne McKee. Church Mother the Writings of a Protestant Reformer in Sixteenth-century Germany. Chicago, Illinois: University of Chicago Press, 2006. Zitzlsperger, Ulrike. Mother, Martyr And Mary Magdalene: German Female Pamphleteers And Their Self-images. History 88, no. 291 (2003): 379-92. Accessed October 30, 2014. Wiley Online Library. "Katharina Zell and her Hymnbook"